For additional information and to schedule a showing, please contact Kenna Stephens with Realty Executives Associates at (865) 604-4635 or (865) 688-3232. 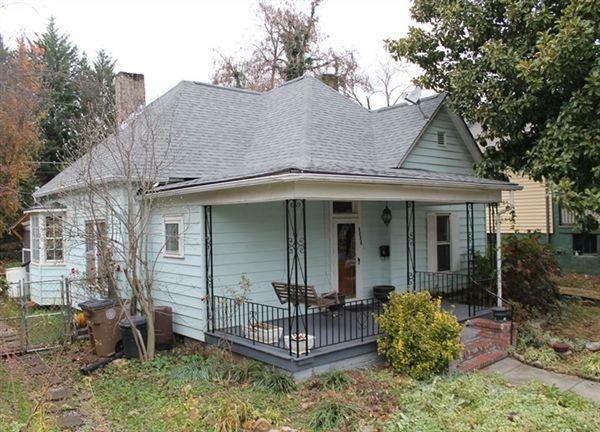 This historic 2 bedroom, 1 bath cottage is located in the 4th &amp; Gill area. It features original hardwood floors, built-in shelves, fireplace, fenced-in backyard, and a garden space. Disclaimer: School information listed is deemed reliable but not guaranteed. We are not responsible for changes in zoning or inaccurate information. To verify zoning information please visit the link below. 1111 Eleanor St, Knoxville, TN 37917 is a 2 bedroom, 1 bathroom, 1,186 sqft single-family home built in 1920. 1111 Eleanor St is located in Fourth and Gill, Knoxville. This property is not currently available for sale. 1111 Eleanor St was last sold on Jul 7, 2006 for $119,900 (99% higher than the asking price of $1,100). The current Trulia Estimate for 1111 Eleanor St is $158,527.